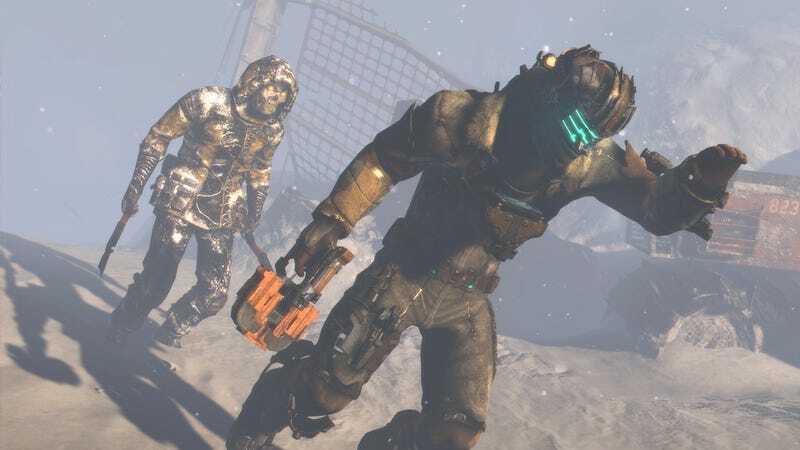 A report earlier this morning, citing unidentified sources, suggested that Electronic Arts had terminated its Dead Space franchise—including work on an unannounced Dead Space 4—in light of poor sales of Dead Space 3. The game's studio says the rumors are false, and EA itself disputes the portrayal of Dead Space as a troubled brand. "The reports of our death were greatly exaggerated," said Dino Ignacio, a member of the Dead Space development team, over Twitter. Another Visceral Games developer, writing on NeoGAF, called the rumor "completely false based on my knowledge." An EA spokesperson at first told Kotaku that the company wouldn't comment on rumor or speculation, but later added: "While we have not announced sales data for Dead Space 3, we are proud of the game and it remains an important IP for EA." In another statement to Kotaku, echoing comments made elsewhere, she called the rumor "patently false."